A park attendant at Tokyo's Shinjuku Gyoen National Garden failed to charge foreign visitors because he was reportedly too scared to ask for payment. 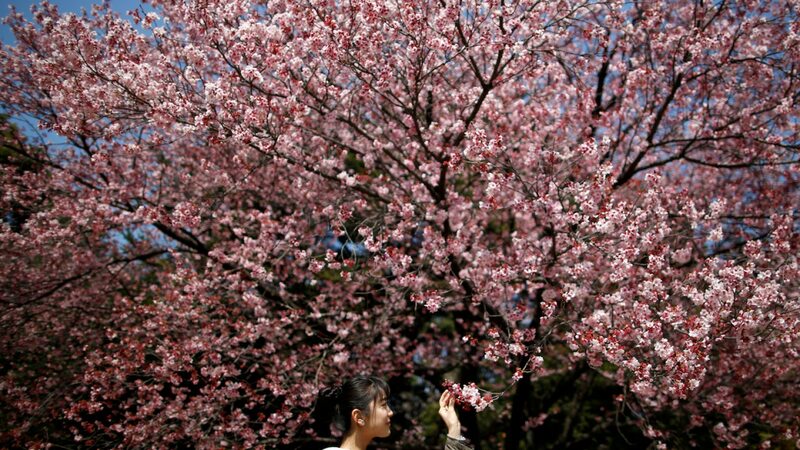 An errant employee has cost one of Tokyo&apos;s public gardens more than $200,000 in entrance fees. An attendant at the city&apos;s Shinjuku Gyoen National Garden failed to charge foreign visitors as he was reportedly too scared to ask for payment. The elderly man responsible stopped charging tourists the 200 yen ($1.80) entrance fee in April 2014 after a bad experience and continued with the fudge until December 2016. Auditors estimated that around 160,000 people had been allowed to enter the garden without paying, costing the park 25 million yen ($223,000) in revenue. The worker has since left his position and offered to return 300,000 yen of his retirement bonus, according to The Guardian. One of Tokyo&apos;s most popular public gardens has lost a lot of money thanks to one errant employee, it was reported on Tuesday. Shinjuku Gyoen National Garden charges a meagre 200 yen ($1.80) for entry to its grounds, one of the best places to see the country&apos;s famous cherry blossoms in spring. According to the Japanese Ministry of the Environment (who now manage the park), Shinjuku Gyoen National Garden, located a stone&apos;s throw from the busy Shinjuku station, is considered to be one of the most important gardens from the Meiji era. However, many tourists have managed to dodge the small fee thanks to one of the park&apos;s attendants, who was apparently too scared to ask foreigners to pay up. The former employee, who is reportedly in his early 70s, failed to charge international visitors the entrance fees for about two and a half years between 2014 and 2017, according to The Guardian. "I don&apos;t speak any other languages and I got scared when a foreigner began yelling at me a long time ago," the employee told ministry officials, according to SoraNews24. Bizarrely, the attendant had been issuing tickets to foreigners, which had the price of entrance written on them, but not asking for money. He would then ask a colleague with access to the park&apos;s database to cancel the sales. The Guardian reports that in December 2016 the employee was exposed by a colleague who saw him acting strangely when handing out tickets to tourists. He has since retired from his position, been docked 10% of his salary, and returned 300,000 yen of his retirement bonus.